Though worship is the focus of Church life, our fellowship with one another extends beyond the Church services. Whilst the lighting scheme is being carried out, we have a 'cherry picker' in church to access the high areas for wiring and fittings. Fr Antony went up to have the lighting explained to him, and to get a good look at the paintings. Much of the glorious woodcarving in church was done by Alfred Robert Wilson, and when his daughter, Kathleen died in 2018, she left the church a legacy to do something in church to glorify his memory. 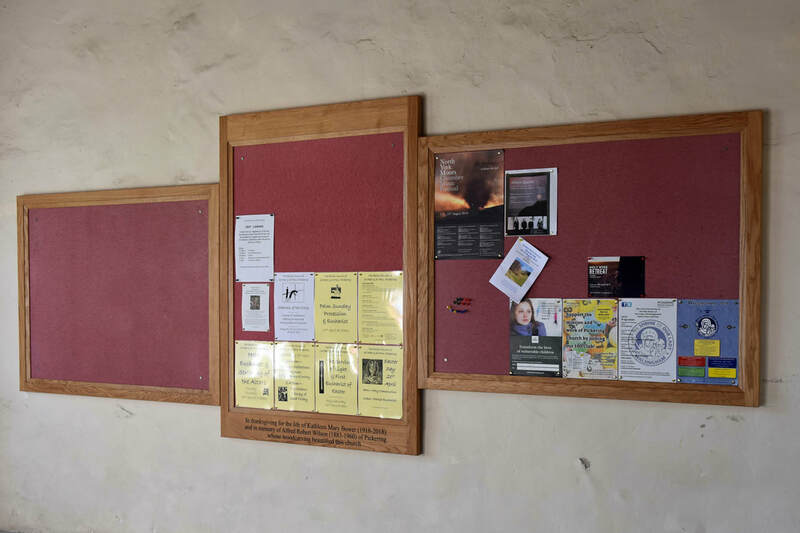 We decided that some lovely new, oak noticeboards in the porch would be perfect, and these were fitted in March and blessed during the Mothering Sunday service on March 31st.